I built my business off of helping people buy their first homes. As my business has grown, I have had opportunities to work on many different kinds of transactions, but first time buyers are still my favorite. Whether it’s a young couple moving into the next chapter of their lives or someone who never thought homeownership was a possibility for them, when my clients are handed the keys to their first home I truly wonder how I got so lucky that this is my job. It takes a special set of skills to help first time buyers. I mean buying a house is a big deal and people have lots of questions the first time they do it! It can be a difficult and emotional process and the agent needs to make sure that the buyer is comfortable and understands each step of the process. While I can’t adequately guide you through the home buying journey in one blog post, below I outline the steps you should be taking if you’re preparing to buy a house. First thing’s first, get pre-approved with a qualified lender. Even if you think you have a good idea of the price range you’re looking in, you want to have the finances nailed down prior to beginning your search. For a lot of people this feels like the most intimidating part, but it’s really pretty painless. Even if your finances aren’t quite ready yet, the loan officer can advise you and guide you through the process until they are. I usually recommend engaging a lender that works for a mortgage company and not a bank. While both options have pros and cons large banks tend often don’t give you the quality or speed of service provided by smaller companies dedicated to mortgage lending. Don’t be afraid to meet with a few lenders, not only to shop rates, but to find someone you feel comfortable working with. While applying for a pre-approval is a hard pull on your credit, you will only be dinged once within a 60 day period. The credit bureaus don’t want to punish people for shopping around (same is true of car loans). The loan officer will walk you through all of the costs associated with a purchase and give you estimated payments. They can also talk with you about down payment assistance. Click here for a list of documentation you should prepare for a pre-approval. Click here to send me a message if you’d like a list of great loan officers I work with. Once you’re pre-approved you will want to begin to narrow down your search. A Realtor can help you to start making you list of “must haves” and “deal breakers”. They can also provide location based expertise. When you’re ready to look for a Realtor, make sure it’s someone you feel like you can trust and that you click with. Buying property can be a long and stressful process and you want to make sure you like the person that is going to help guide you through that. You also want to make sure they have the knowledge necessary to help you have a smooth and successful transaction. Don’t be afraid to ask questions or even ask for references. When you have gotten that nailed down, your Realtor will be able to set up an automated search for you on the MLS (multiple listing service). They will take you basic criteria (min. beds, baths, neighborhoods, etc.) and enter it into an automated search. You will get a notification anytime a house matching that criteria becomes active. You will also have access to a portal containing all active homes that meet your need. This will always be the most up to date info and is a far better tool than many 3rd party sites (ahem:: Zillow). When you see a house you’re interested in, simply contact your Realtor to set up a showing. From having an accepted offer on a house to closing is typically 45-60 days. Depending on tastes, criteria and speed of the market, my clients average 3-8 weeks to find and get an accepted purchase agreement on a home. So you can expect it to take between 2.5 and 4 months from the time you start searching in earnest to actually having the keys. You can also add a few weeks to interview lenders and obtain a pre-approval. Take a look at your timeline! If you are planning to buy in the Spring, it’s time get the ball rolling! It’s never too early to talk to a Realtor or a Mortgage Professional about prepping to buy. If you have any further questions or you want to set up a time to meet and chat, click here to send me a message. 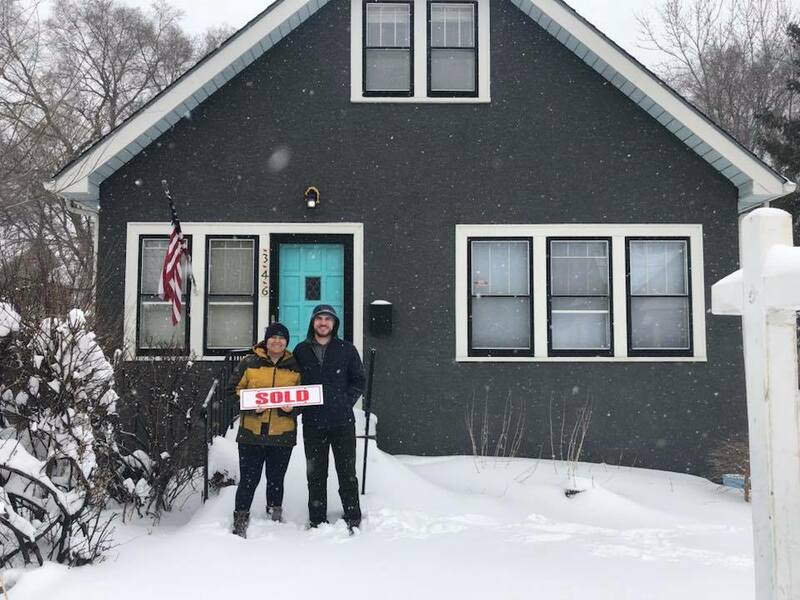 If you follow real estate trends or pay attention to the local news, you likely heard about the crazy Twin Cities housing market in 2018. As home inventory hit a 15 year low, competition became fierce and desirable homes saw almost instant multiple offers and sometimes sold for 10s of thousands over asking price. First time homebuyers struggled to find anything at an entry level price point and many were pushed out of the city into first or second ring suburbs. Homeowners were routinely told “There’s never been a better time to sell!” So should we expect more of the same in 2019? Here is what to keep an eye on this year. Interest rates climbed up to 5% and beyond over the course of 2018. While still historically low, many felt rising rates would bring balance to the strong sellers market. However, the December market crash has brought rates down around 4-3/4%. Between the markets and the government shut down, rates are unlikely to rise in the short term. Later in the year we will probably start to see rates tick back up as consumer confidence rises. Higher interest rates tend dampen demand and could help to push the market slightly back towards buyers. Median home prices in Minneapolis are up 16% from 2016. Many of the in demand neighborhoods of the city saw more growth than that in the last year alone. While this is great news for sellers, it’s effectively pricing out low to moderate income buyers. With a lack of affordable options, more buyers are starting to look further away from the city center. The historically more affordable Northern suburbs have seen huge growth in demand. While urban living remains a must for some, we’re seeing more buyers opt to broaden their search to get more house for their money. With this push outwards, we will continue to see development of restaurants, breweries, shopping and other amenities in previously sparse areas. The hotly debated 2040 plan for Minneapolis made us the first major city to end single family zoning. Minnesota has one of the worst racial disparities in homeownership in the country. Single family zoning is one of the many pieces of housing legislation that intentionally segregated our city. While much of that legislation (redlining, racially restrictive covenants, etc.) was done away with 50 years ago when the Fair Housing Act was passed, single family zoning remains across much of the US. 50-60% of Minneapolis is only zoned for single family homes. When the new legislation goes into effect later this year, the city hopes to increase housing density and affordability. Whether or not this will have a measurable effect on our housing disparities is debatable, but it’s a ground breaking and positive step forward. 2019 will also see the Upper Harbor Terminal redevelopment move forward along the river in North Minneapolis. The city is in the approval process for a large multi-use development along the unused stretch of river. The project will include an open air amphitheater and riverfront park space. This major development in a historically low income area has many afraid of the effects on home prices. As the area gentrifies, so could we lose the last affordable areas in Minneapolis. Hopefully the city will implement community feedback and find a way for this to be a benefit for all, but it’s sure to change the landscape of the area. The housing market is likely to remain strong in 2019. While many of us in the real estate world started to feel the shift towards the end of 2018, high rents and relatively low interest rates keep buyers motivated for the foreseeable future. Towards the end of the year, we might begin to see a more balanced market as the rates rise. It remains a great time to sell your home, additional inventory is still needed. Keep an eye on city developments as the Twin Cities continues to grow and become a highly desirable place to work and live.